This mobile number connects you to the actual Water Taxi coxswain. If not answered immediately, please wait a couple of minutes before trying again, particularly in bad weather, as the driver may be berthing the vessel or assisting passengers. 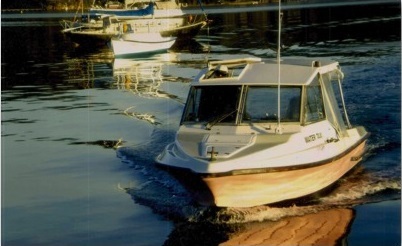 Pink Water Taxis are an on-demand service based at Church Point Ferry Wharf. Call when you are at a wharf and ready to go. Taxis carry up to six passengers with normal luggage, and have mobile EFTPOS services available for Mastercard and Visa. For late evening pick-ups, it is wise to call ahead to check how late the taxi will be running.